Hi everyone! Corri here today sharing a layout that I made with the Spring Garden Collection. I love the bright colors in this collection and they are a perfect match for this butterfly photo. I enjoy chasing butterflies and this is one of my best captures yet. I selected the Garden Plaid print as my background paper. 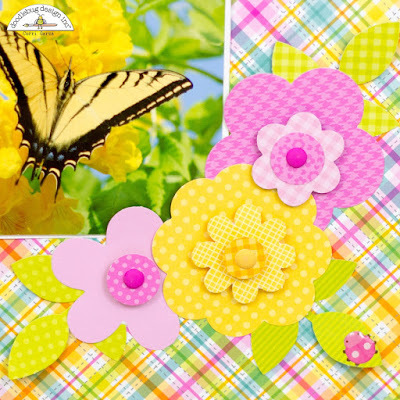 The garden flowers craft kit was perfect for creating some dimensional flowers around the corner of my photo. I added some of the new matte sprinkles to the center of each flower. I created my title by combining some lily white Chippers along with a sticker from the Spring Garden icon sticker sheet. 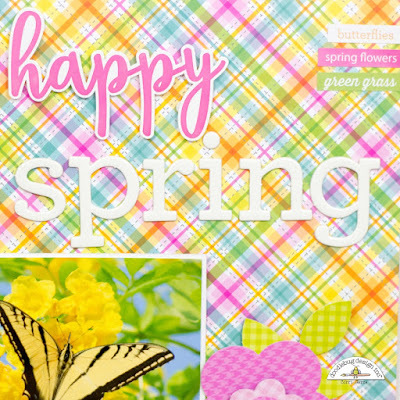 There are so many fabulous Spring elements in this collection. 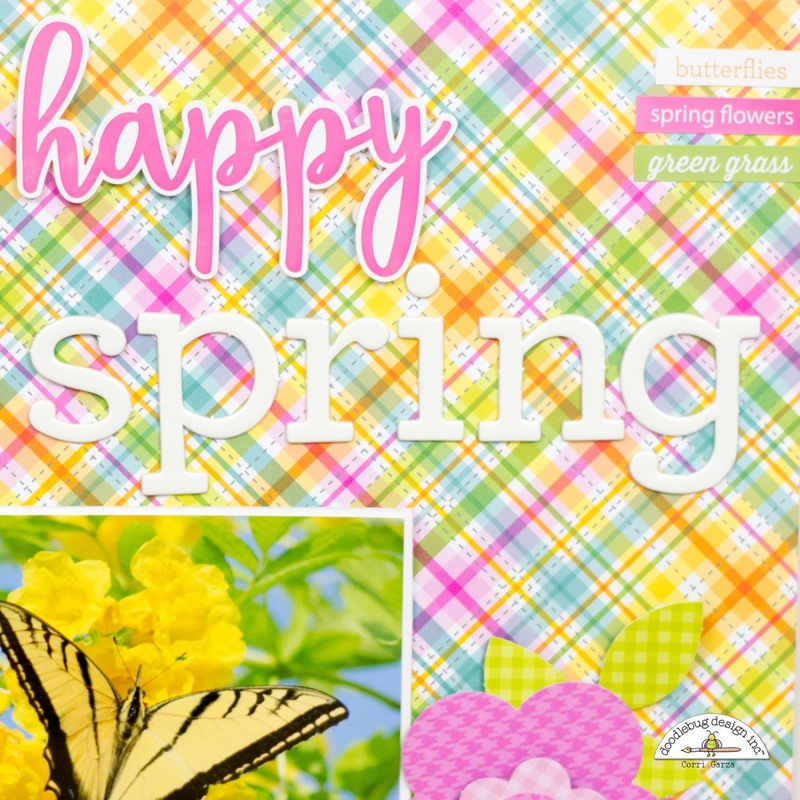 You can see all of them by checking out the Spring Garden Collection here. Thanks for stopping by! What a great photo! 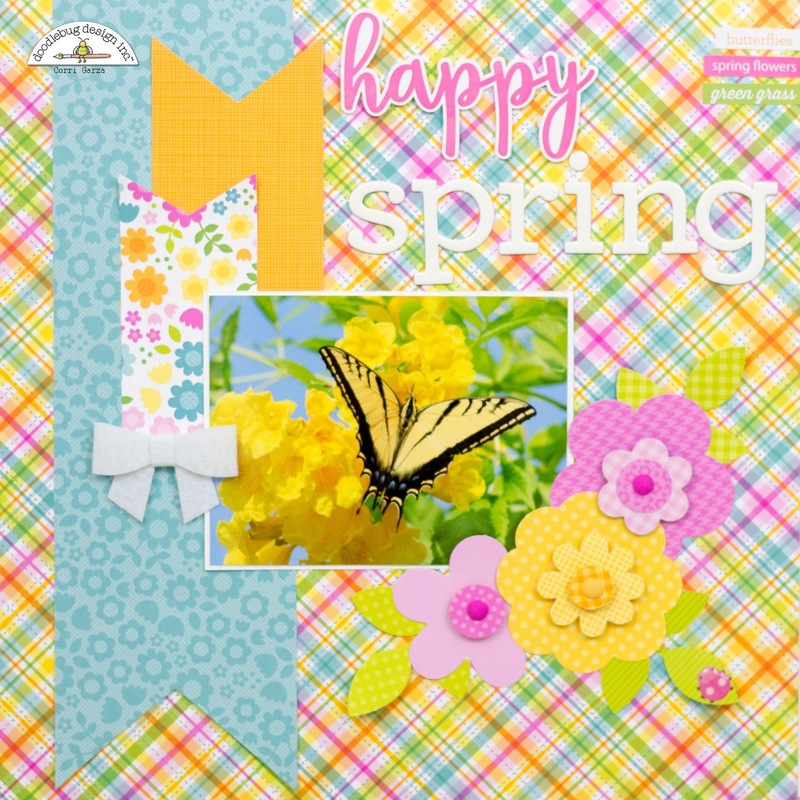 I love how its beauty is enhanced by all the wonderful Doodlebug products you used on your LO. So fresh and pretty! Beautiful layout and fantastic photo.